Cookies 'n Cardio: Going... Going... GONE! 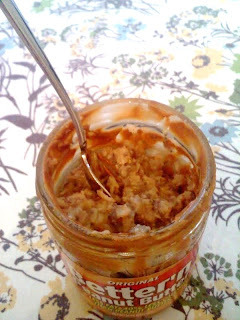 Mmm... this morning when I woke up all cranky and cold, all I wanted was some hot oatmeal with a spoonful of PB! 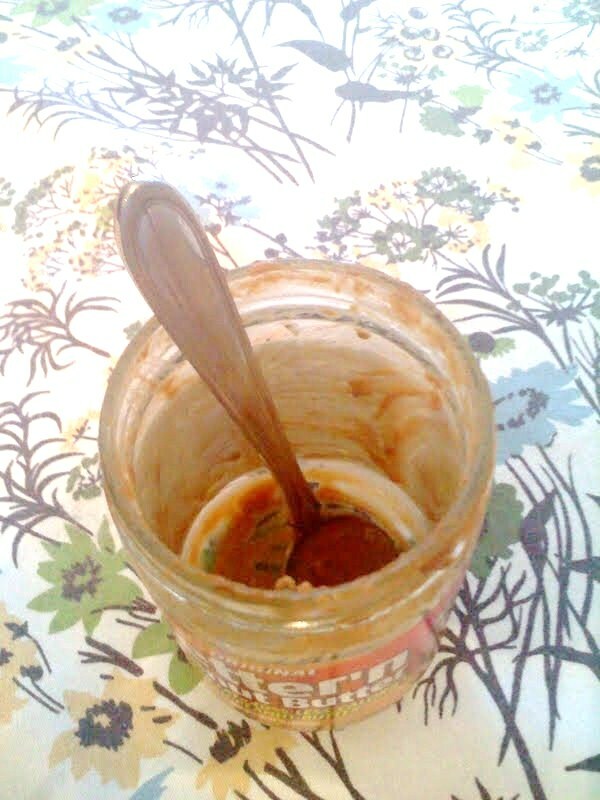 But alas, when I looked in the fridge I saw that my PB jar was nearly empty. 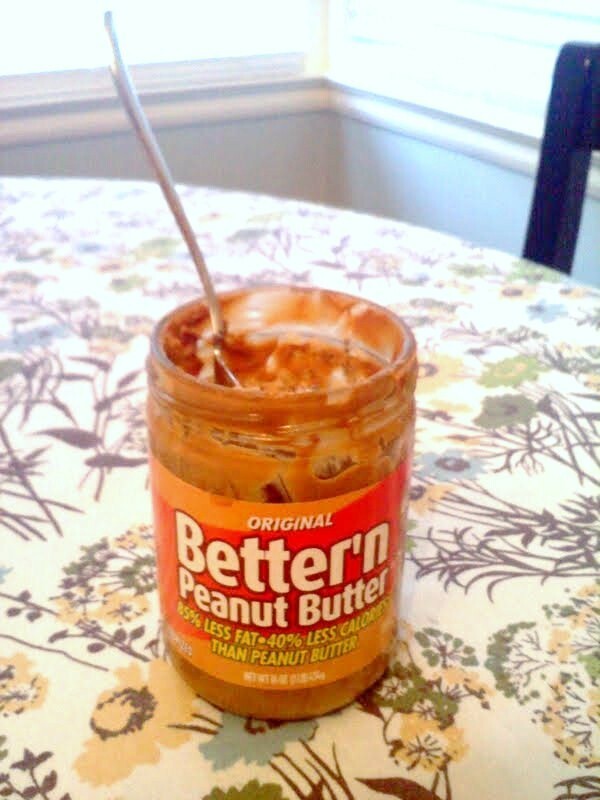 So...what do you do with that LAST little bit of PB at the bottom of the jar. Do you try your hardest to scrap it out with a spoon, your fingers, or a rubber spatula that is entirely to big? 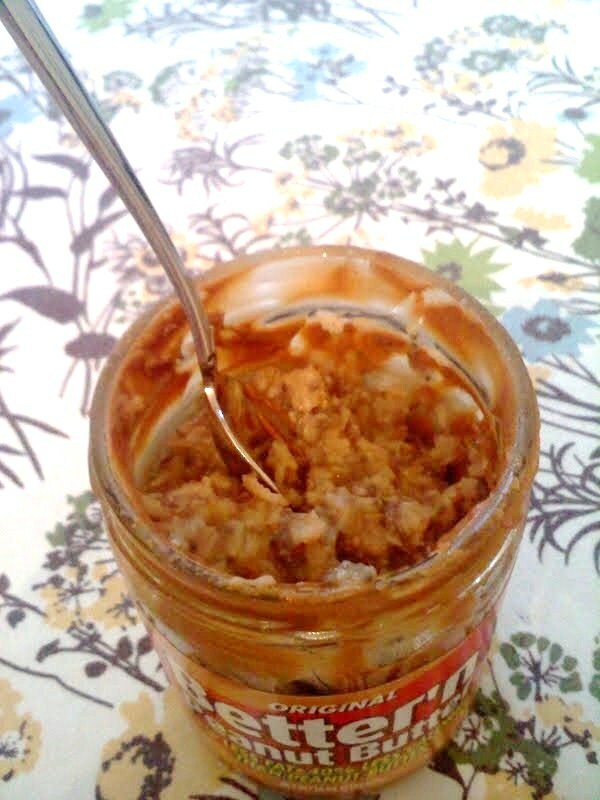 Well... if I have at all convinced you to start eating PB with your oatmeal, then I have a little tip for you! I first read about it over at Tina's blog Carrots 'N' Cake. 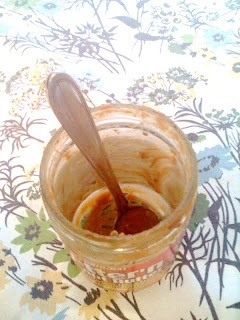 Then I just saw it all over the healthy living blogosphere! See for yourself! Seriously... give it a go. If you want a FABULOUS recipe for oatmeal (if I do say so myself,) check out my recipe for Banana Oats. GONE! 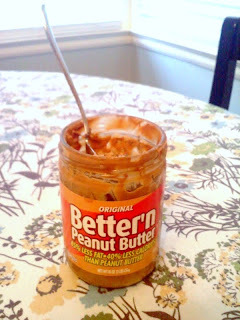 Mmm... Time to buy some more Better'n PB! - No washing dishes afterwards! Just toss the empty jar into your recylcing bin! Ah. Stupid Arkansas Targets for not selling Better Than Peanut Butter! Um, I LOVE your blog Laurie! It is super informative. I had no idea you were such a nutritionist! hey girl! can you email me caitlinjboyle@gmail.com? New post, new post, new post.